One of the advantages of the MIR-Method is that it brings people closer together. People notice becoming milder towards other people and being able to see more quickly what the other person is struggling with. Often, people who seem angry are actually afraid or hurt. I have heard several times about family members who hadn’t seen each other for years and got into contact with each other again through the MIR-Method. Reuniting families: if there’s something that I find wonderful, it’s that! The reason for this is in step 3. Subconsciously still living within your mother or father’s system (expectation, approval) will affect your contact with other people. Some people irritate you because they, unnoticed by you, remind you of something you didn’t like about your father or mother. To detach yourself from that person or his/her behavior, do all 9 steps of the MIR-Method. The 9 steps, and especially step 3, work together to detach you from all the men and women who have ever played a role in your life. Think about your grandfather, grandmother, aunt, uncle, brother, sister, niece, nephew, son, daughter, but also the school teacher, dentist, doctor, driver’s test examiner, pastor, school principal or Santa Clause (yes, even him!). It frees you from the effect they have had on you. You detach yourself from the convictions and conclusions you have learned from your encounters with them. 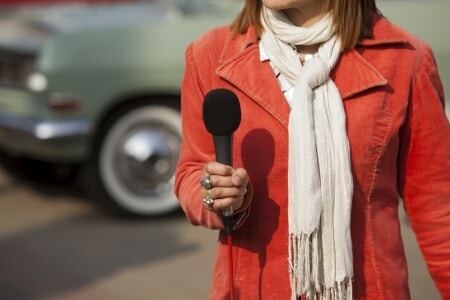 To regain extra pleasure in your relationship, there is a fun exercise you can do: interview your sweetheart. You will be surprised what you learn! Most people don’t actually know exactly what the other person likes because they have never asked them about it. If you take some time and interview your partner, you will get their user instructions. You can imagine that you’ll be in for some surprises! 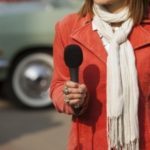 How do you do the interview? Your partner gives some examples. He or she may need some time for this because it is an unusual question. You keep asking this question until you have 15 answers. Tell me how much you enjoy being with me. Pull my leg and we can laugh together about it. Let the dog out without complaining about it. Secretly place a hot water bottle in my bed. Hold my hand while we’re walking. Put a sweet note in my lunchbox. Let me shave your neck hair. Look at me when we give a toast. Tell me what adventures you’d still like to experience. Do this 3 times daily! For it to work, you now choose 3 things each day from this list and do them without saying anything about it to your partner. Just see what the reaction is! I’m curious! What did you learn about your partner? Let us know below. I wish you great happiness in your relationship and family! P.S. 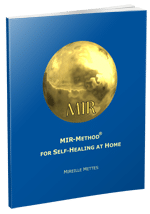 To learn more about doing the MIR-Method, watch the introduction video at the home page and view the entire instruction video. Good luck! I will be pleased to be joit to your mail list and to learn more about your method. As I was told, it is wonderful and as I can confirm already after the first steps, it functions. Thank you for sending me this message! I hope the MIR-Method works great for you and gives you a wonderful health. Let me know what you notice in your body or emotions, maybe self confidence.